If you have passion for answering quiz and sharing your knowledge from trivial to serious topics, you can earn money doing just that! This article shows you how exactly how it works, the types of questions you are asked and how you earn money from answering the questions. It also shows you as many as 13 genuine programs and apps that really pay you for answering questions! But of course, with earning money answering quiz online, it’s not always a given that you can earn a lot of money. With most of them you have to always get the answers correctly to get any points at all or win any money. Earning money playing quiz online is really a genuine way to earn extra money on the side, no doubts about it. And there are really genuine programs that pay people to answer questions. But you must be very good at answering questions to make a success with this. It’s not as easy as when you get paid to watch videos or when you get paid to listen to music but it can be more exciting, especially for those who love challenges. Also, you can’t get rich with quiz programs. They are meant to be fun ways of earning something on the side, but definitely not a way to get rich. So, don’t abandon everything else to concentrate on this. Instead, see it as a way to bring in extra money while having fun in the process. If you are not located in the countries allowed, you can't join and the links won't even open up for you. But you can join Kingged.com's special program HERE to receive email updates of more programs that allow more countries. You don’t even have to play quiz with people to get paid. They pay everyday people like you this much money for just sharing your thoughts and opinions about things around you or products you use. It’s simple how many of the genuine programs work. Unlike outright work at home scams like stuffing envelopes at home for money, there are really genuine programs that pay people money to play quizzes. They usually allow players to earn points when they answer questions. The questions can be as easy as “true-or-false” type questions in some cases and complex in other cases. As a player, you are usually given seconds to answer particular questions, to prevent you googling for answers. And as you answer your questions correctly, you earn points. The more questions you answer correctly, the more points you earn. Of course there are different points for different answers. At the end of the day you are able to cash out the points you have earned. Some programs might have different rules, but that’s basically how most of them work. Related: How To Earn Money Answering Questions and Websites That Really Pay! Yes, not every program out there that claim to earn players money really pay. Many don’t, that’s why you have to take time to only go with those that pay. Thankfully a lot of the work has been done for you in this article. That said, below are 13 genuine programs that you can earn money from, for playing quiz online. Perk Pop Quiz is an android app that allows you to play trivia and earn real cash. You get to earn points for the correct answers you get in the quiz you participate in. This free game does not require any in-app purchases, and your points can be converted into real cash on your Perk Plastik Discovery card. Alternatively, you can exchange the points earned with Google play free gift cards or other gift cards from your favorite stores such as GameStop, Amazon, Nike, Target, Starbucks and many more. You can also be entered in to win $50 in the daily cash prize challenges. There are hundreds of subjects in different categories from which you can choose to play quiz and earn. This means the more you know about different subjects, the higher your chances are of winning and earning. MindIT Trivia App is a platform that is unique in providing users with the opportunity to learn and earn with answering quizzes. You can even make some extra money on weekends just doing this. You can install this unique quizzing & trivia game to increase your knowledge power on variety of topics like science, sports, history, current affairs, etc. You can choose from thousands of questions and also increase your chances of competing in exams. The uniqueness of this app is also seen in the fact that you can set your language to Italian, French, German, Spanish, Korean, Japanese, etc, to play, learn and answer the quiz. You earn points or coins for answering questions in this fun and quiz app. You can cash out and be paid via PayTM wallet or PayPal account. This is is one of the top websites for players who want to win money with quiz. If you are filled with general knowledge, why not sign up with this platform and start using your brilliant knowledge and ideas to make extra money? With 888Quiz, you can play, learn and challenge other players to win money. You can play for fun or play to compete. As for playing for fun, some people who enjoy this see it as one of the hobbies that make money while having fun. If you choose to compete, then you have a chance to win money. You can pay £5.00 to enter the monthly prize competition and win £250. In the quiz game, you are provided with 10 multiple choice questions where you have 16 seconds to provide the answers. This is great if you also like answering questions very quickly. Of course if you really know the answers to the questions asked, it shouldn’t take too long to answer. You also have three life lines that provide you with the chance of correcting the wrong answers you have given. Your answers and score will be posted on the monthly prize competition chart. Quizi is another exciting quiz game you can play to earn even as you increase your knowledge. You can use this platform to play lots of quizzes or write your own quiz to make money. When you use this program to add your own quiz, you can either give it for free or you can put your own price to get paid. What you earn will depend on your rank or level. However, you can buy Quizi Points to get top rank and earn more. Also See: How To Earn Residual Income Online. Givling is an amazing quizzing program that earns you money and also gives you a chance to pay off your student loan of up to $50,000. Apart from student loan, you also have the chance to pay off your mortgage of up to $25,000. Givling is a fast-paced trivia game in which you can win cash if you get a top score. You can play twice a day, and “you join a randomly chosen funding team and answer statements true or false until you strike out. As a student, whether you are doing online jobs for students or not, you can win with this. The more statements you answer correctly, the higher your score”, according to the website. The first questions answered correctly earns you 10 points and the second 20 points, and so forth until you strike out. You are allowed only three wrong answers or “strikes” in a game. The first two plays in every 24 hours are free and you can buy more tokens via PayPal to continue playing and earning more points, and of course, win more cash. On daily bases, you can expect to win up to $200+ and also have the chance to pay off the student loan and mortgage payment. For another easy way to earn money online, see –> Online Data Entry Jobs That Anyone Can Do. Quizbook is another platform that can pay you real money to take quizzes. You can take advantage of this website to start earning money by answering trivia questions. You have to give correct answers to a quiz that contains about 20 questions. Each question is to be answered within 10 seconds. For every correct answer you provide you earn 0.20 point. Every 10 points you earn, you are paid 1 cent or $0.01. You can cash out when your Quizbook account has reached a minimum of $3. You get your payment via PayPal, making this a good way to make money with Paypal. You can also win up to $25 in a day by taking part in the QUIZBOOK Instant Win Quiz. If you refer your friends to Quizbook, you will earn 20% of your referral’s earning. Also See: Selling Foot Pictures and other weird but legit ways of making money! SatoshiQuiz is a quiz game you can play to win Bitcoins. You get to win when you answer questions correctly. You can visit website and start answering questions. To win Bitcoins, you must be logged in and be among the first three users chatting online to answer the question correctly to win either the first/second or third prize. The prize awarded is 60% to the first user, 30% to the second user and 10% to the third user. The Bitcoin payments are processed once every week on Sunday. Min withdrawal is 11000 satoshis. You request payment by visiting the “My Account” page and submit the Withdrawal request. QUIZ REWARDS is an app that allows you to play or answer quiz questions from different categories of topics. You are expected to answer questions from 16 different category of topics like science, history, movies, TV series, cars, geography, general knowledge and more. 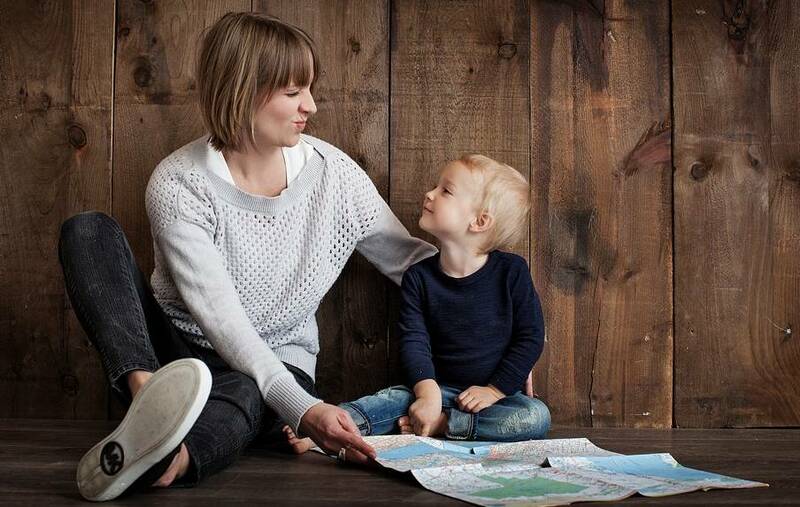 If you are a stay at home mom with knowledge in lots of areas and who you want creative jobs for stay at home moms to make money, this can be for you. You earn point for the correct answers you provide in 12 trivia questions. When the quiz tournament ends, you will be among the winners if your points are high enough. Your loyalty points can be redeemed for gift cards from Amazon and other stores. The longer you play, the more points you can earn, and the more gift cards you will redeem. Another Easy Way Of Making Extra Money: Watch Movies and Make Money. CASH QUIZ is another app you can sign up with to answer quiz questions and get rewarded. With this app, you might not make money fast but you can certainly win real prizes every day. Just answer trivia questions and get the most correct answers. 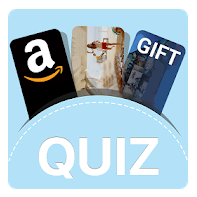 You collect points for correct answers and redeem them for prizes of your choice – PayPal cash or gift cards. You can be part of the daily winners of $100 split among the first, second and third ranked players. The $100 is distributed 50%, 30% and 20% or $50, $30 and $20 for 1st, 2nd and 3rd placed winners respectively. Also See: How To Get Free Internet. KO Trivia is another app that allows users to win cash and prizes for playing trivia games. To make money playing games from this app, you have to download the app – iOS or Android. You choose a tournament prize to compete for with other players. The tournaments are available 24/7. The game asks questions. As the game progresses, players get knocked out from the tournament as they answer wrong questions and run out of lives. The winner of the tournament would be the last player standing. The winner can go home with cash prizes or free gift card codes. Cash is paid via PayPal. Total Trivia is another program rewards people with real prizes after they have played trivia games. You can compete in hundreds of trivia tournaments every day. You join millions of US players to try and win prizes after trying your knowledge in Total Trivia. If you are the player with the highest score you win items for free. Total Trivia is used to promote products. Thus, if you are shopper, you can compete in the games and take advantage of the opportunity to save money by getting discounts. So, if you are good at trivia and quiz games, take advantage of Total Trivia and win real items. Cricket Quiz is a trivia game for those who love cricket. If you think you know the game of cricket, you can use your knowledge to answer questions and earn money when you win prizes. You will be asked questions on cricket and for every correct answer you provide, you will earn money. The questions cover different topics that include IPL, Big Bash, The Ashes, and other domestic T20 leagues, T20Is, ODIs and Test Matches. Every month, you also get the chance to win prizes as you keep providing correct answers. The more you play, the more chance you get to move up the leaderboard where you qualify as one of the top 3 players to receive monthly prizes. According to their website, you can earn £0.05 per correct answer. You can earn up to £500 top prize every month, and there is no limit on how much cash you can earn every day/month. HQ Trivia is another smartphone game which is played for real money. Hundreds of thousands of people are brought together to play this game. The game goes live at 3 p.m. and 9 p.m. EST on weekdays and 9 p.m. EST on weekends. HQ Trivia game allows you to answer questions that consists of 12 multiple choice trivia questions. Only ten seconds is allowed to answer each question. If all the 12 questions are answered by every competitor, they would split the jackpot among themselves. If no one wins, the next game would proceed. Jackpot wins can give winners a lot more than just xBox free gift cards and starts from $100, $250, $1000 and now up to the grand prize of $15,000. These can be split among winners. You can cash out via PayPal and you don’t need to reach any threshold before you can cash out. You can get extra lives to play the next game by referring friends. HQ Trivia can be downloaded via iPhone or Android devices. The above are some genuine programs that really help people like you to earn money online by playing quiz. You get to play games structured with questions and answers. The more answers you give to questions, the more rewards you get. Some of the rewards you get are gift cards and real merchandise. With most of these programs or apps, you also get to win real cash. But of course, don’t forget that it’s not always a given that you can earn a lot of money with these types of quiz programs. With most of them you have to always get the answers correctly to get any points at all or win any money. You don’t even have to play quiz with anyone to get paid. They pay everyday people like you this much money for just sharing your thoughts and opinions about things around you or products you use.